Rockstarz Limousine is proud to offer luxury transportation to all of the major sporting venues in Detroit, Ann Arbor, and everything in between. The owner has a deep love for sports as a 12-year pro of the NFL, and expects the best when it comes to luxury. That same level of luxury gets passed on to you when you rent a limo or party bus from Rockstarz Limousine. Sporting events are a great way to start a big night out or just to get a group together and enjoy some time. 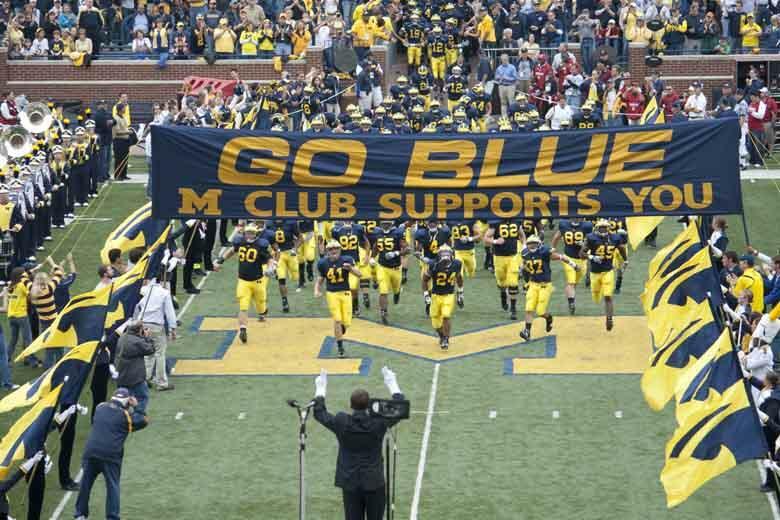 The Michigan Wolverines football team is one of the most prestigious college football programs in the world. As a limo company based in Ann Arbor, Michigan, Rockstarz Limousine and Party Bus Services is proud to offer the very best luxury transportation to and from Michigan football games. Whether you need to transport a VIP to the field or it’s just you and your group, Rockstarz Limousine and Party Bus Services has the vehicle for you. We will drive you right up to gate of the Big House or tailgate right there with you. Of course, your ride will be waiting for when the game is over. There’s nothing quite like enjoying a baseball game on a great summer day. The Detroit Tigers give us here in Southeast Michigan the opportunity to enjoy America’s pastime in the best way possible. Why not let us take care of the transportation with a luxury limo or party bus so you can enjoy the game? Maybe you are a high school baseball coach and you want to treat the team to a day at the ballpark, or maybe you are starting off a bachelor party in downtown Detroit with a trip to Tiger Stadium. No matter why you go, know that Rockstarz Limousine can get you there in style. The Detroit Red Wings are one of the most renowned franchises in the NHL, and the pride of Detroit. Joe Louis Arena has some of the greatest traditions known in hockey, including the Legend of the Octopus. 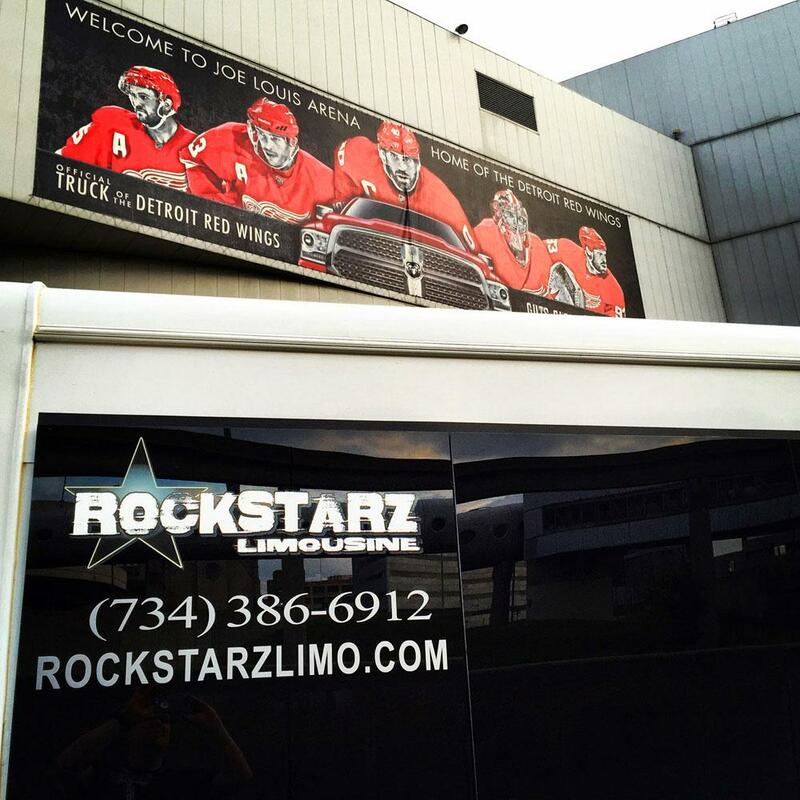 It’s simply of the best ways to spend an evening in Detroit, so choose Rockstarz Limousine for your Red Wings limo or party bus rental. Rockstarz Limousine can provide the perfect transportation for you and your group to and from one of the best venues in all of basketball. Afterwards, head to Downtown Detroit to make your “Pistons night out” more than just a basketball game. Tons of local restaurants and bars make it the perfect venue for a bachelor or birthday party after the game. The Detroit Lions have a long, storied history in the NFL. The team has been around since 1930 before the NFL-AFL merger, and brings great football and fans to all of Michigan every Sunday. Rockstarz Limousines can provide you with a luxury vehicle to make your day at the game enjoyable and relaxing. Grab a group of friends and head to Ford Field in one of our luxury limousines, party buses, or stretch SUVs. We can pick up your group from any number of locations and make sure that you get safely to and from the field.